Sign-up to our Newsletter and receive a Free £5 Voucher! New Arrival: Colnago Ottanta5 On Sale! 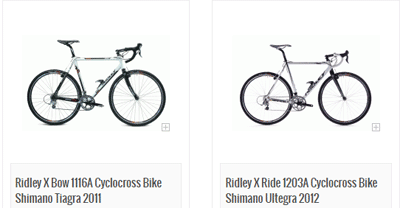 Slanecycles.com sell the best bicycles & cycle accessories at fantastic prices. Their staff have an abundance of cycling knowledge living and breathing cycling, competing in Olympic Games and winning many National Titles. Slane Cycles was established over twenty years ago and have continued to grow ever since providing a fast and friendly service with amazing prices.